Note: Click on the small text under the title of this posting, Vaccinations (incl corruption of science & govt) to generate a list of other postings in the same category. World Mercury Project Note: Last week, 15 dedicated children’s health and medical choice advocates joined Robert F. Kennedy, Jr. on Capitol Hill to fulfill our promise to the community to provide crucial vaccine safety information to every member of Congress. Meetings with Congressional Members, Senators, and staff took place over a four-day time period to explain WMP’s six-step Vaccine Safety Project that details the actions necessary to introduce sound science and transparency to our vaccination program. Federally elected officials can no longer ignore the chronic health conditions—tied in no small part to adverse vaccine reactions—that currently affect over half of our nation’s children. Not only are these officials now aware of the conflicts of interest and inadequate science upon which the vaccine program is built, but they have been given a common-sense plan for enacting desperately needed changes that puts children’s health first. The long-term health effects of our vaccine program are inadequately studied and our regulatory bodies are conflicted. Childhood health epidemics have mushroomed along with the childhood vaccine schedule. Vaccines contain many ingredients, some of which are known to be neurotoxic, carcinogenic and cause autoimmunity. Vaccines injuries can and do happen. The National Vaccine Injury Compensation Program of Health and Human Services (HHS) has awarded almost $4 billion for vaccine injuries since 1988. Subject vaccines to a scientifically rigorous approval process. Require reporting of vaccine adverse events. Automate Vaccine Adverse Event Reporting System (VAERS) and Vaccine Safety Datalink (VSD) databases for research. Ensure all parties involved with federal vaccine approvals and recommendations are free from conflicts of interest. 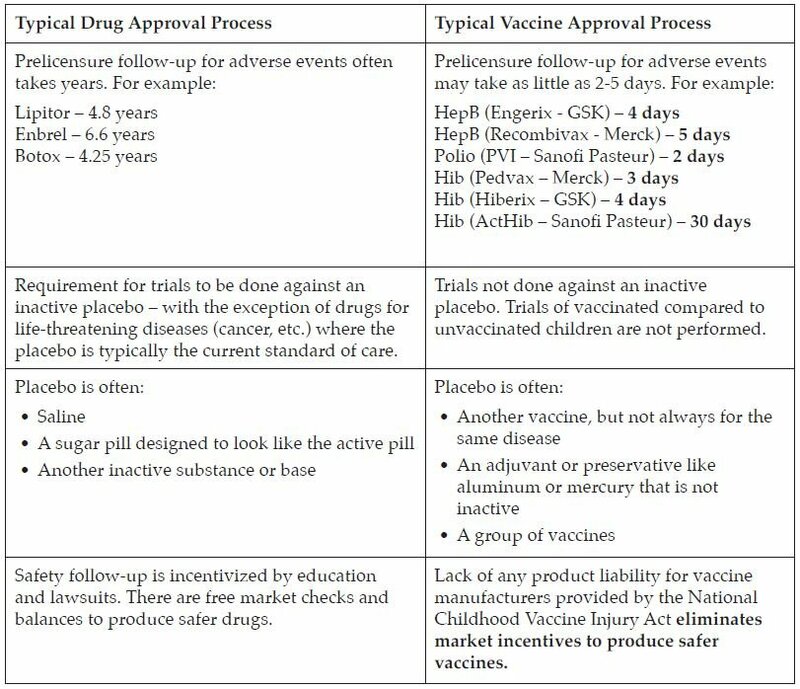 Reevaluate all vaccines recommended by the Advisory Committee on Immunization Practices (ACIP) prior to the adoption of evidence-based guidelines. Study what makes some individuals more susceptible to vaccine injury. Support fully-informed consent and individual rights to refuse vaccination. The details regarding each of the six steps to vaccine safety were discussed with members of Congress, Senators and staff to help them understand why they must act now to stop the childhood epidemics. #1: Subject vaccines to a scientifically rigorous approval. Vaccines, which are given to healthy patients, should be tested more rigorously than drugs because they are not given to treat an existing disease. Inadequate testing currently ensures that the true risk/benefit assessments for the safety and cost of vaccines are impossible to calculate accurately. These vaccines are given to about 4 million American infants annually. #2: Require reporting of vaccine adverse events. Automate Vaccine Adverse Event Reporting System (VAERS) and Vaccine Safety Datalink (VSD) databases for research. Reporting and study of adverse events after receipt of vaccines is currently haphazard and antiquated. Since these two databases are the primary sources of U.S. post-licensure surveillance, serious side effects of vaccination that were unclear or not seen in clinical trials will be missed. Clinical trials for vaccines typically only enroll a few thousand patients in total. When vaccines are subsequently approved for use in populations of millions of healthy individuals, it is imperative that rates of known adverse events and any new or rare adverse events are monitored. Without adequate safety follow-up, serious side effects may be missed entirely putting the public at risk (examples of the past importance of safety follow-up include hormone replacement therapy, Vioxx and amphetamines). 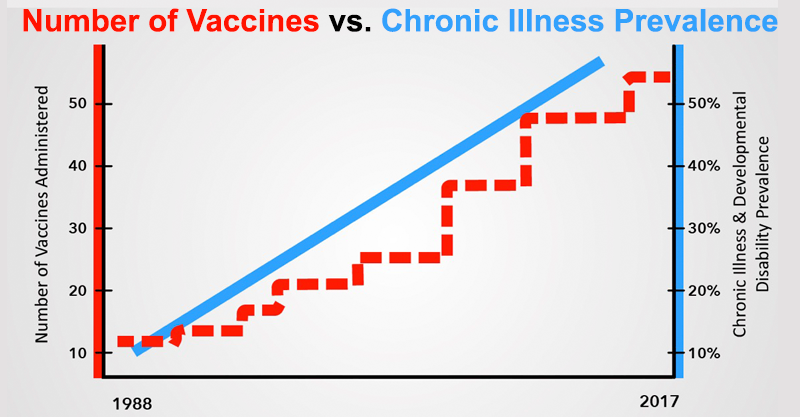 There has never been a comparative study of broad health outcomes in vaccinated vs. unvaccinated populations. Any adverse event listed in the VAERS Table of Reportable Events Following Vaccination that occurs within the specified time period after vaccination. But, in practice, this doesn’t happen. There is no consequence for failing to report an injury. There is no mechanism for prosecution of non-compliance and, therefore, no incentive for a busy doctor to report vaccine safety problems. The VSD is a collaborative project between CDC’s Immunization Safety Office and eight private health care organizations. The VSD was started in 1990 to monitor safety of vaccines and conduct studies about rare and serious adverse events following immunization. However, research is currently hampered by lack of broad access to this publicly-funded database, variability of reporting and the statistical structure of the database. #3: Ensure all parties involved with federal vaccine approvals and recommendations are free from conflicts of interest. FDA’s Vaccine and Related Biological Products Advisory Committee (VRBPAC) is responsible for licensing vaccines. CDC’s Advisory Committee on Immunization Practices (ACIP) is responsible for adding vaccines to the recommended schedules. CDC or NIH Employees whose names appear on vaccine patents can receive up to $150k in licensing fees per year (in perpetuity). 97 percent of committee members’ conflict disclosures had omissions. 58 percent had at least one unidentified potential conflict. 32 percent had at least one conflict that remained unresolved. CDC continued to grant broad waivers to members with conflicts. All vaccine regulatory agencies must rigorously enforce their ethics policies to ensure that our vaccine program is free from financial conflicts of interest. #4 Reevaluate all vaccines recommended by the Advisory Committee on Immunization Practices (ACIP) prior to the adoption of evidence-based guidelines. Mandating the vaccine to millions of children. Immunity from liability for the manufacturers. Inclusion in the Vaccines for Children program. However, prior to 2012, ACIP did not use evidence-based guidelines to evaluate their vaccine recommendations. Evidence Based Practice is “the conscientious, explicit and judicious use of current best evidence in making decisions about the care of the individual patient. It means integrating individual clinical expertise with the best available external clinical evidence from systematic research.” The final ACIP guidelines published in November of 2013 outlined clearly, for the first time, a standardized plan to evaluate the quality and strength of the research behind each recommendation for a vaccine for each population. ACIP’s recommendations include the populations, timing, spacing, number of doses, boosters and appropriate ages for each vaccine to be administered. The CDC’s infant schedule, given to approximately 4 million babies a year, was largely adopted before these guidelines were in place. Vaccines recommended before the adoption of evidence-based guidelines should not have been “grandfathered” in. Earlier ACIP recommendations should be thoroughly reviewed in light of the new guidelines and current research. #5 Study what makes some individuals more susceptible to vaccine injury. The Institute of Medicine (now National Academy of Medicine) has issued three disturbing reports on the evidence for suspected and/or reported vaccine adverse events. 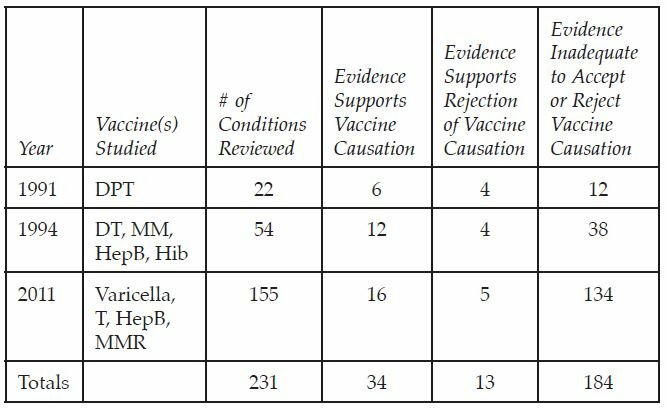 For 80% of the suspected vaccine adverse conditions investigated, there wasn’t enough research evidence to accept or reject vaccine causation. Of the reviews with sufficient evidence, 72% found that the vaccine did likely cause the injury. The Vaccine Injury Compensation Program has paid out over $3.8 billion in compensation to victims of vaccine injury. The children and adults who have been compensated for injuries have never been studied to determine why they were injured, in an effort to make vaccines safer for everyone. Preventing vaccine injuries should be tackled as zealously as we tackle preventing infectious diseases. Vaccine safety science, particularly long-term safety science, is inadequate to ensure children’s safety or to accurately assess risks for purposes of informed consent. #6 Support fully-informed consent and individual rights to refuse vaccination. In the case of vaccination, informed consent is often ignored completely in real world settings. In practice, particularly when multiple vaccines are administered on the same day, many parents report that they received the Vaccine Information Sheet (VIS) as they left and there was no explanation of information before a vaccine was given. It is also rare that medical history is thoroughly discussed to identify contraindications to a vaccine. For example, a patient with a family history of autoimmunity is likely at increased risk for an autoimmune reaction after vaccination. Lack of informed consent encompasses vaccine advertising as well. While television drug ads disclose the side effect risks of that drug at length, vaccine advertising does not. The patient, again, is at a disadvantage. World Mercury Project won’t stop until decisive action is taken. Insistence on fully-informed consent and individual rights to refuse a vaccination become imperative given the lack of long-term follow-up and surveillance; only 1% adverse events are captured and reported; vaccine recommendations are tainted by financial conflicts of interest of regulators; the current childhood vaccine schedule was not approved using evidence-based science and policy; the childhood vaccine schedule has never been tested on fully vaccinated vs. unvaccinated; and there is sparse research into which patients are likely to experience an adverse event. America is in the midst of many childhood epidemics. Over 50% of our children are chronically ill. We owe it to our children to examine what is happening to their health and correct it as soon as possible. Watch this 8 minute trailer of RFK, Jr.’s Vaccine Safety Project video. The longer 45 minute version is accessible in the members-only section of the World Mercury Project website. A lifetime membership to WMP is only $10 which helps us achieve our goal of ending the childhood epidemics and working for families across the globe. Last week,15 dedicated children’s health and medical choice advocates joined Robert F. Kennedy, Jr. on Capitol Hill to fulfill World Mercury Project’s promise to the community to provide crucial vaccine safety information to every member of Congress. Meetings with Congressional Members, Senators, and staff took place over a four-day time period to explain WMP’s six-step Vaccine Safety Project that details the actions necessary to introduce sound science and transparency to our vaccination program. Federally elected officials can no longer ignore the chronic health conditions—tied in no small part to adverse vaccine reactions—that currently affect over half of our nation’s children. Not only are these officials now aware of the conflicts of interest and inadequate science upon which the vaccine program is built, but they have been given a common-sense plan for enacting desperately needed changes that puts children’s health first. generous donations from our community. Copyright © 2018 World Mercury Project, All rights reserved.